Using adaptive optics to offset atmospheric turbulence, astronomers at the W.M. Keck Observatory atop Maunakea, Hawaii, have confirmed the presence of water and a lack of methane in the atmosphere of a planet known as HR 8799c, a gas giant about seven times more massive than Jupiter that takes 200 years to complete one orbit of its host star. Other researchers have made similar observations, but the Keck observations show the value of combining adaptive optics and high-resolution spectroscopy, the researchers say. The long-range goal is to enable technology needed to determine the chemical composition of exoplanet atmospheres and to detect possible biosignatures in the atmospheres of Earth-like planets. HR 8799 is located about 130 light years from Earth in the constellation Pegasus. The star has about 1.5 times the mass of the Sun and nearly five times its luminosity. It has four known planets and is the only such multi-planet system to be directly imaged. For the new study of HR 8799c, the Keck II telescope and the Near-Infrared Cryogenic Echelle Spectrograph, or NIRSPEC, in combination with Keck’s powerful adaptive optics system to smooth out atmospheric blurring. 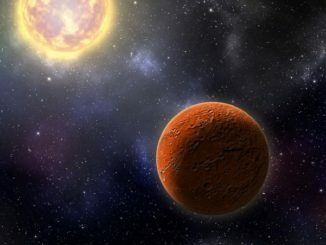 The observations marked the first time the technique had been used to directly image an exoplanet in the L-band, that is, infrared light with a wavelength around 3.5 micrometres. 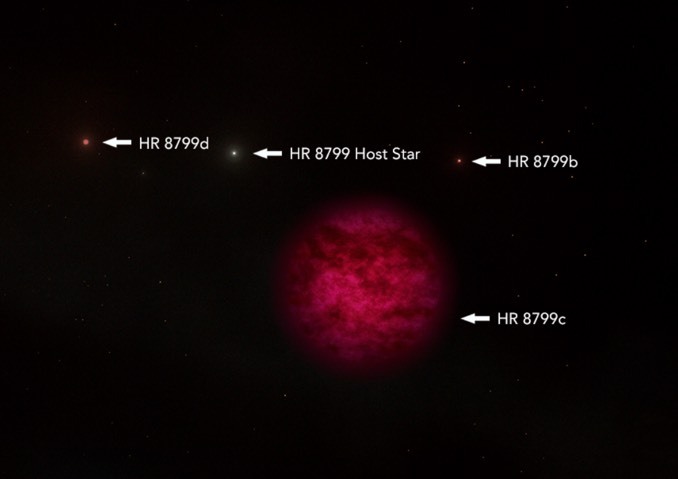 The use of adaptive optics made the L-band more accessible, allowing the researchers to make the most precise measurements yet of the atmospheric constituents of HR 8799c, confirming the presence of water as previously believed. They also were able to confirm the absence of methane. Mawet and his colleagues are presently developing a new instrument called the Keck Planet Imager and Characteriser, or KPIC. 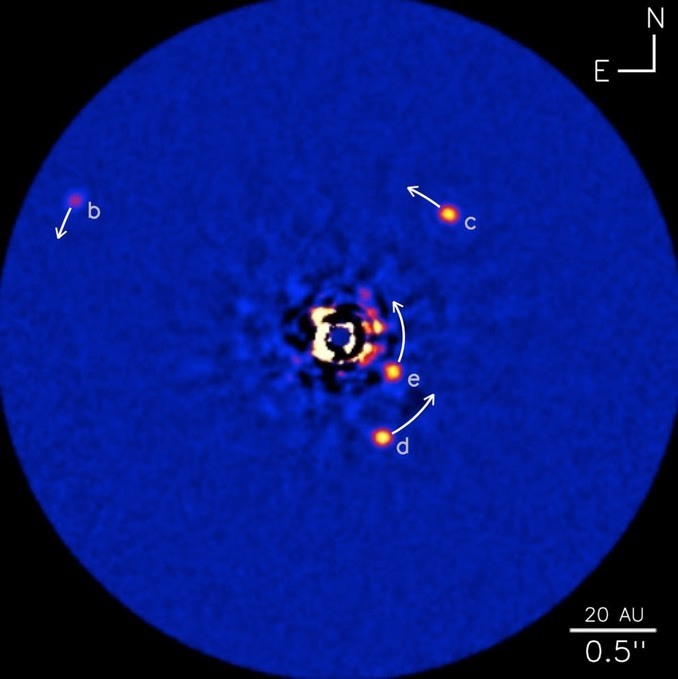 It will also will utilise adaptive optics and high-resolution spectroscopy to study planets that are fainter than HR 8799c and orbit closer to their host stars. The study of alien worlds is entering its next phase as astronomers amass the best planets outside our Solar System to look for signs of life. 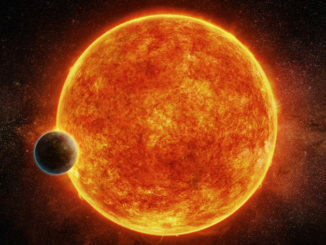 A newly discovered “super-Earth” orbiting in the habitable zone of a nearby small star, has catapulted itself to the top of that list. 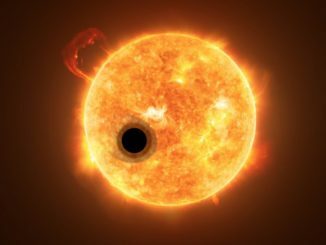 Astronomers at the University of Exeter have found helium in the atmosphere of a Jupiter-class exoplanet – a first – and sodium in the atmosphere of another, an indicator of a cloud-free sky. NASA’s planet-hunting TESS spacecraft has found its first Earth-size planet orbiting a star 53 light years away, along with a larger sub-Neptune sibling.